Lend Lease’s Armadale development Toorak Park is more than 50 per cent sold after the public retail launch on Saturday, showing the demand for apartment living is booming in Melbourne’s blue chip suburbs. Lend Lease National Head of Apartments Ben Christie said Lend Lease was thrilled with the take up on the opening weekend. “The opening weekend results speak for themselves – there’s strong demand for quality living options in blue chip suburbs," he said. "We see Toorak Park as the perfect opportunity for people to downsize, get started in in one of Melbourne’s most prestigious suburbs or simply purchase a standout investment property – it’s really pleasing to see that the market agrees with us,” Mr Christie said. Lend Lease has partnered with renowned architects Denton Corker Marshall, interior designers Carr Design Group and landscape designers Tract on the residential project. 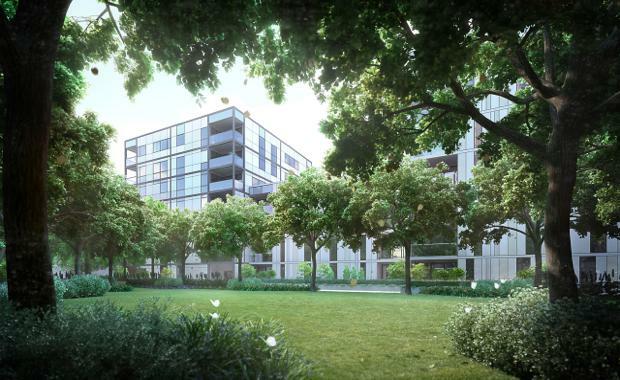 The 448 apartments and 18 townhouses will be spread across four quarters, with a third of the project open space featuring communal gardens and direct access to Toorak railway station through a publicly accessible tree-lined boulevard. Residents and locals will also have access to a plaza featuring a convenience store and cafe, as well as the central boulevard, two village greens and public gardens that will be known as Grand Central Common. All residences will feature energy efficient appliances, timber flooring and bathrooms with a single stone finish. Health amenities like a pool and gym, basement car parking and bike storage will also be available. The display suite is located at 590 Orrong Rd, Armadale and is open from 11am-3pm every day. Works have commenced on site and the project is due for completion in late 2018.